This past week we've been staying with my in-laws while my husband and mother-in-law take care of my father-in-law. For those who don't know, he has been battling cancer for the last several years and recently was given a hospice nurse. Things are tough right now, but I am so inspired by the bravery, love, and dedication I see in my husband and his family. If you'd like to read more about the last few years and his journey, you can click here. My in-laws live a few minutes away from my parents' new house, so I was visiting a lot and babysitting my little sister Ava. Last week we did a craft together and it came out so cute! Today I wanted to share a little tutorial with you so you can try it, too! 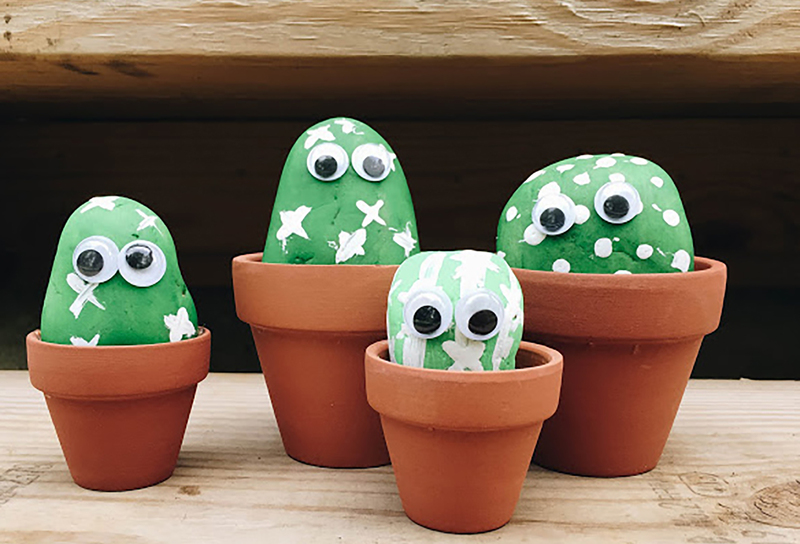 You'll need smooth stones, small terra-cotta pots, green and white paint, paintbrushes, google eyes, and a hot glue gun. 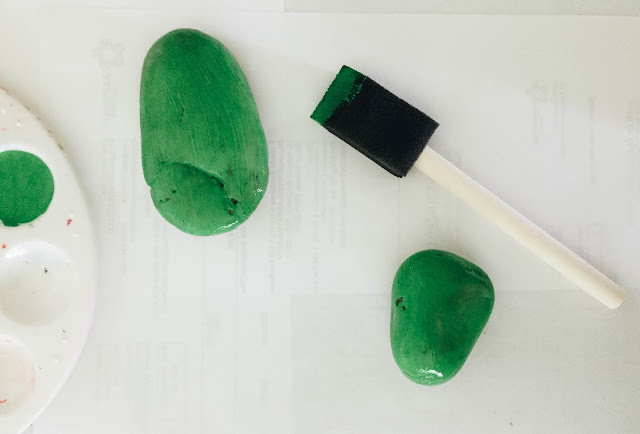 Paint the stones green. We did 2 different shades of green and each stone got a double coat. 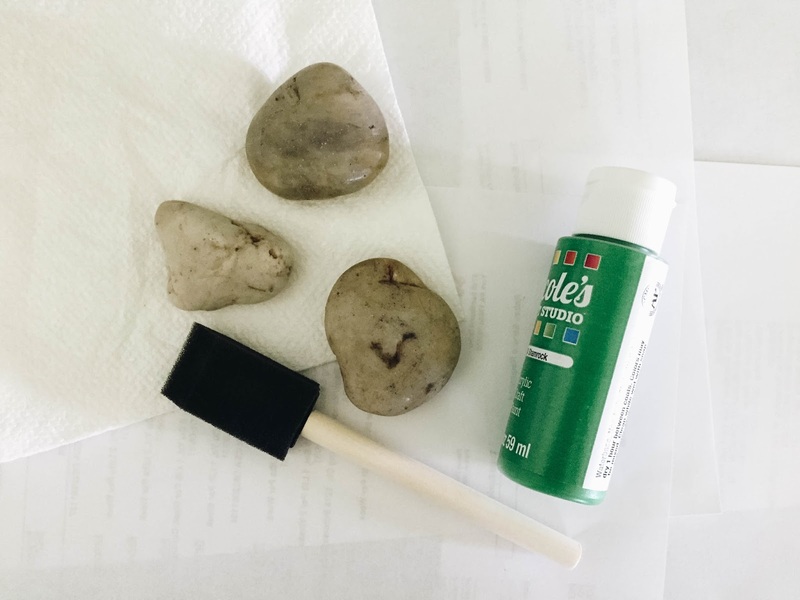 After they dried, we painted little white dots, stripes, and dashes on the stones to imitate the spikes on a cactus. When the paint is day, glue on the eyes. 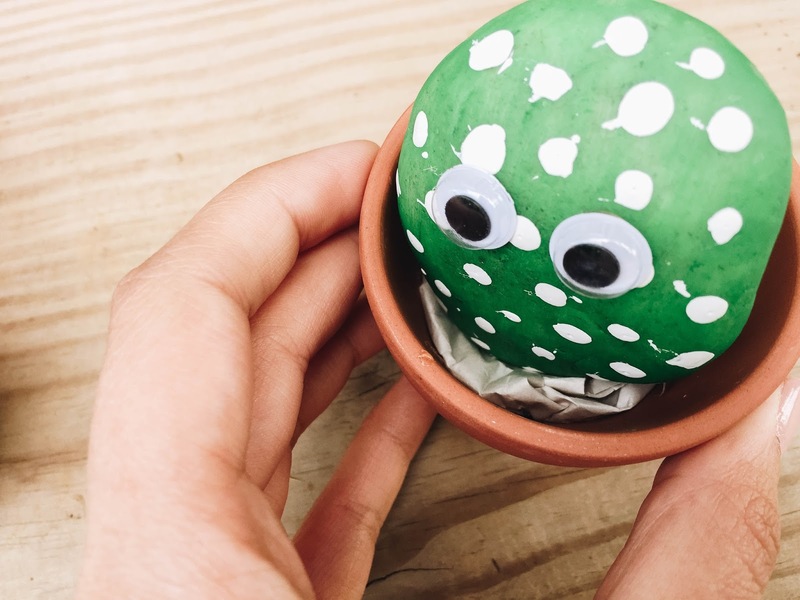 After the eyes are glued on, glue them into their pots. Some of our cactus stones needed paper padding in the base of the pot to be held secure. The ones that fit well just needed some glue on the bottom edges to glue them to the sides of the pots. 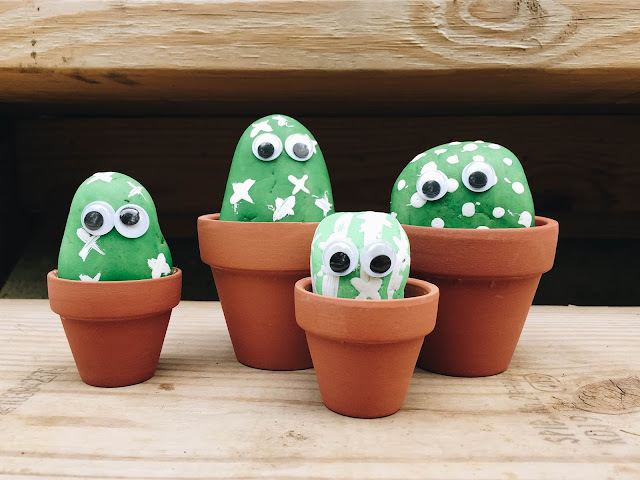 After everything has dried, enjoy your mini cactus stone garden! 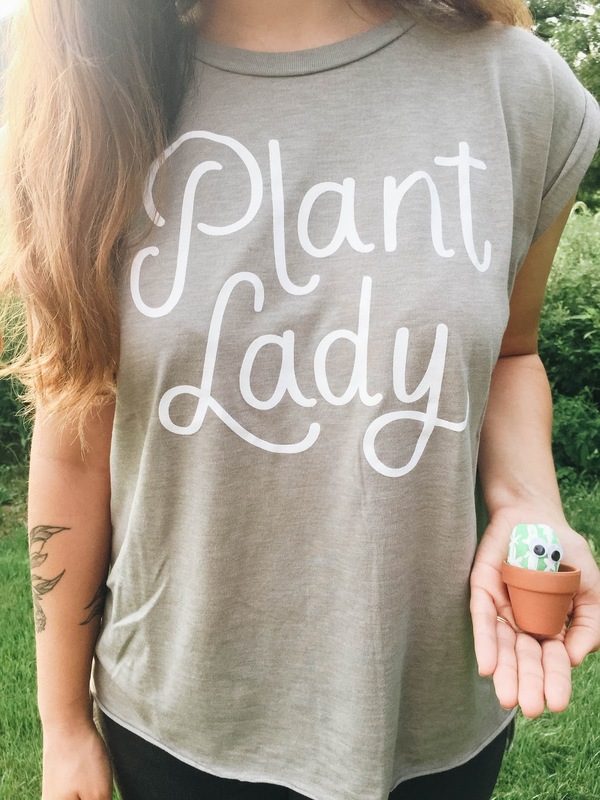 These are perfect for plant lovers at heart who might not be the best at keeping plants alive. Because we've been doing so much traveling this summer and the heat has been killer in central PA, most of my plants have died. Breaks my heart! These little stones though will last for a while. I'm totally a plant lover at heart. I adore ferns, succulents, and little home vegetable gardens. I can't wait until we have a house with a backyard where I can plant vegetables and herbs! Until then, I'll have to be content with my potted tomato plant that is barely hanging on, this cactus rock garden, and my new favorite tank top. 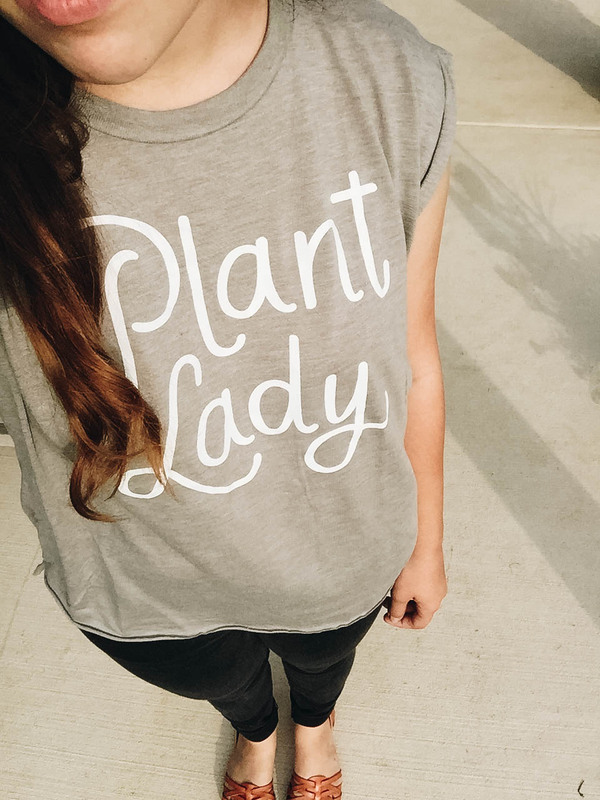 It is such a comfy, soft material with an adorable saying in the cutest handwriting! My friend Rosalynne makes such cute apparel and coffee mugs. If you haven't checked her site out before, be sure to! 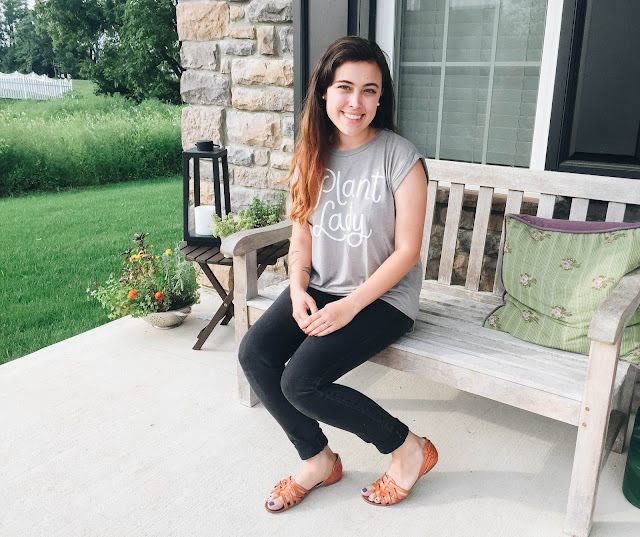 I also highly recommend following her on Instagram because she always posts great content and such encouraging posts. Plus, she does live videos every now and again where she chats about different topics and teaches different things. I'm so thankful for the online community and all the creatives I've gotten to meet over the years!